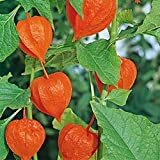 Physalis alkekengi growing herbaceous‎ of the genus Physalis also known as Chinese lantern, Physalis alkekengi perennial evergreen plant or annual also used as ornamental plant, can grow in temperate, mediterranean or subtropical climate and growing in hardiness zone 2-10. Leaves color is green, shape of rhomboid with serrated edges with slightly hairy texture. Fruit cover with capsule in orange color, small fruit the color orang, the taste reminiscent of sweet tomato, the fruity is ready to pick when the capsule start to become brown. 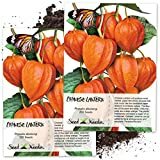 What can be done with big quantities of Physalis alkekengi fruits?